That leaves me only with Sham Shui Po to go to, also with a 30-odd person queue, occupied with tourists armed with Michelin and travels guides (Most look like Mainlanders and Taiwanese). Get a number from the lady first. (Brush up your Cantonese because she doesn’t shout those numbers in English.) Surprisingly, it took only a 15 minutes wait. Owner-chef known as Pui-Gor (Chef Mak Kwai Pui) is formerly from 3-star Michelin restaurant Lung King Heen. His signature Baked Bun with Barbecued Pork (HK$16 for 3, SGD$2.55, USD$2.05) is seriously the best I ever eaten. 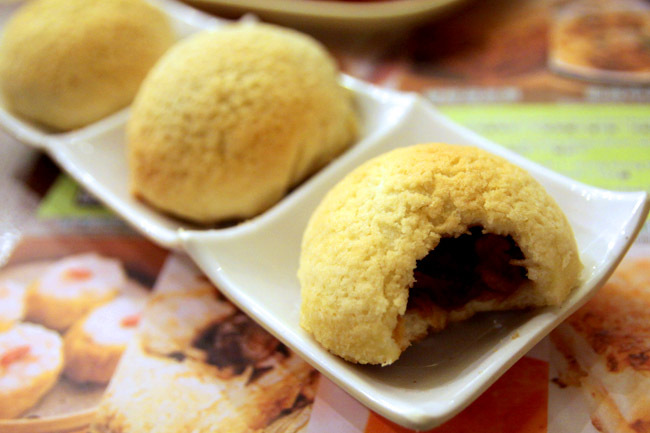 Very similar to a bolo bao, the sweet pastry covered bun is light and fluffy, with skin so thin, and saucy char siew pork within almost oozing out. Supercrazygood! The portion is small, and feels like you would want to finish all three at one go. My advice: Eat them straight once the pastries are out on your table. 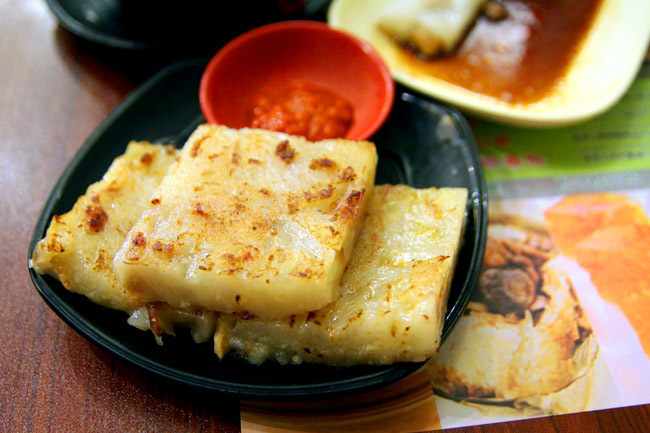 The smooth silky and rather unique Rice Roll with Pig’s Intestines (HK$17, SGD$2.71, USD$2.19) is recommended as well. But then, the disappointment starts. 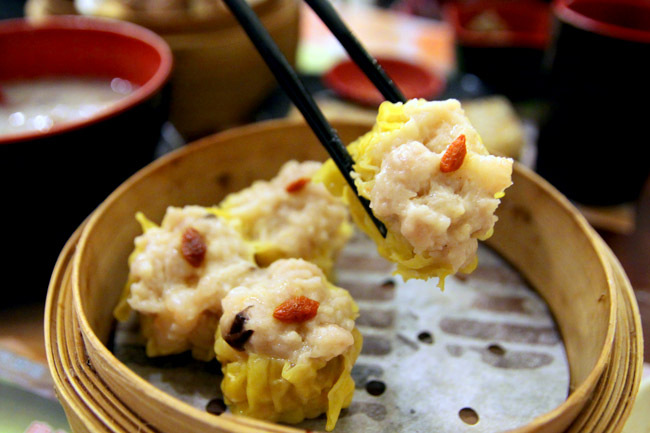 Every other dim sum dish served paled in comparison soon after. 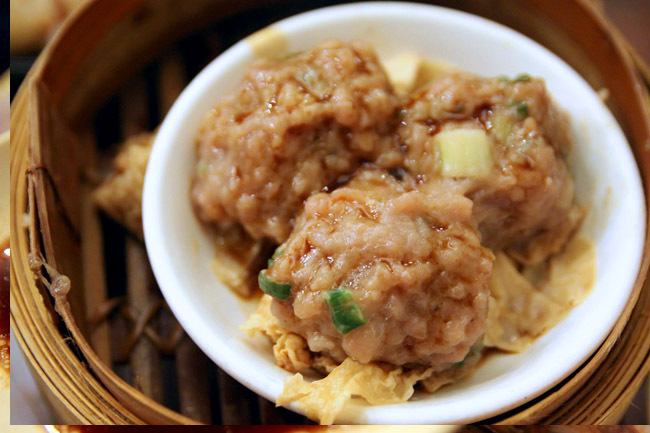 From the Siew Mai (HK$23, SGD$3.67, USD$2.97) to Steamed Beef Balls with Beancurd Skin (HK$14, SGD$2.23, USD$1,81), it feels like there are many other dim sum places with offerings better than this. Don’t get me wrong, those dishes were good but were not spectacular – at least not Michelin-astonishing. I thought to myself, “I had better”. I suspect it has to do more with its execution rather than the recipe and ingredients. For example, the Carrot Cake (HK$12, SGD$1.91, USD$1.55) was fresh with delicious radish bits within (that part I simply enjoy), but was a tad oily and could have been pan-fried longer as the outer layer was just not crisp enough. Some of my Hong Kong friends say that Tim Ho Wan is overrated. 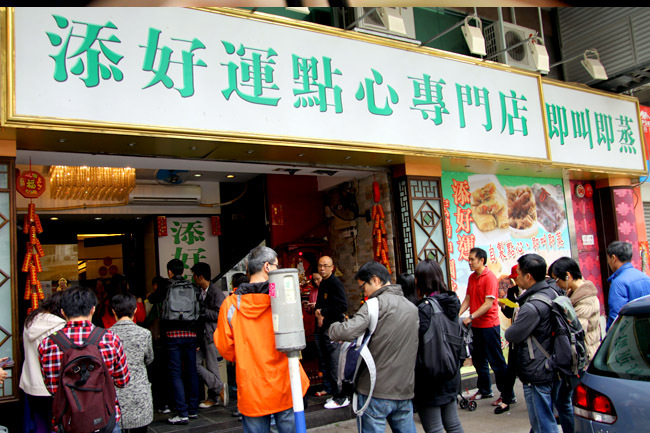 Is Tim Ho Wan a one-hit (dish) wonder? I still think it serves quality dim sum at very reasonable prices, with my entire bill at about HK$100 (SGD$15.94, USD$12.90) for 7 dishes! But… I won’t queue more than an hour for this. May the magic of its Baked Barbeque Pork remains. With only that one star left at Sham Shui Po, let’s hope they keep it, because everybody still loves a fairytale ending. I visited it a couple of years back. I thought the food then was pretty good. Not sure if standards have dropped since they have become more popular. Back then, it was mainly locals frequenting it. Did you visit the Mongkok branch? I hear only the Mongkok branch is good, which is unfortunately closed. yes! I am going soon! Tell me how it goes Ben! I try to go to THW every time i’m in HK and while most of the food are not spectacular – it is still really good. 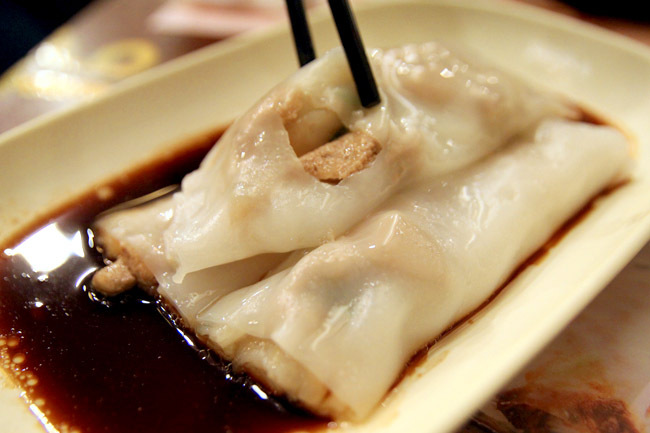 I say most as the Fried Pork Buns are the exception – I will kill for those! Can that star be actually working against them since people then expect too much? I don’t know. But the fact is, people still line up – w/ or w/o the star, i think people will still flock to the place as it offers great food at very decent prices. I can just imagine the line when their SG branch opens this March. You know I just can’t imagine how long the line would be! Please don’t kill for the Baked Pork Buns, though I must agree they are really the best thing around. I don’t think the Michelin star is working against them, without it, they may not have gotten that much recognition worldwide. We are interested to look at franchising THW. How can we be in touch? I was planning on stopping by here on my next HK trip, but now I’m not sure if I should bother queuing up for an average dim sum experience! 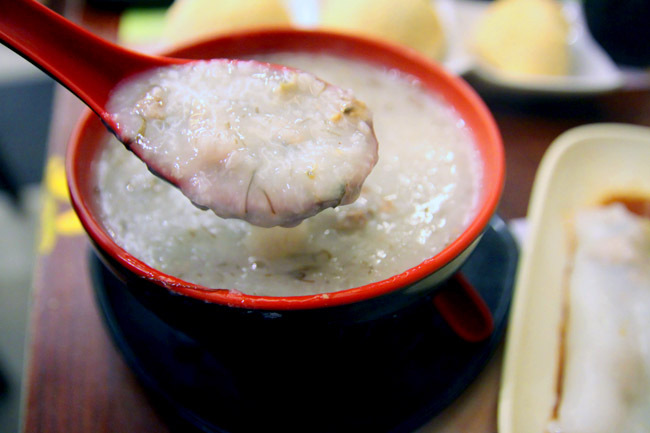 could you share what time and what day you went to THW in Sham Shui po? I’m planning a trip to HK and I’m not sure my relatives would want to wait in the queue for this. Hoping to go there when there’s least people. I went about 2:30-3pm? Slightly off lunch. My friend recommends Olympics branch. We tried the IFC branch as well – it’s really not as good and the colours of some of the dim sum look different!